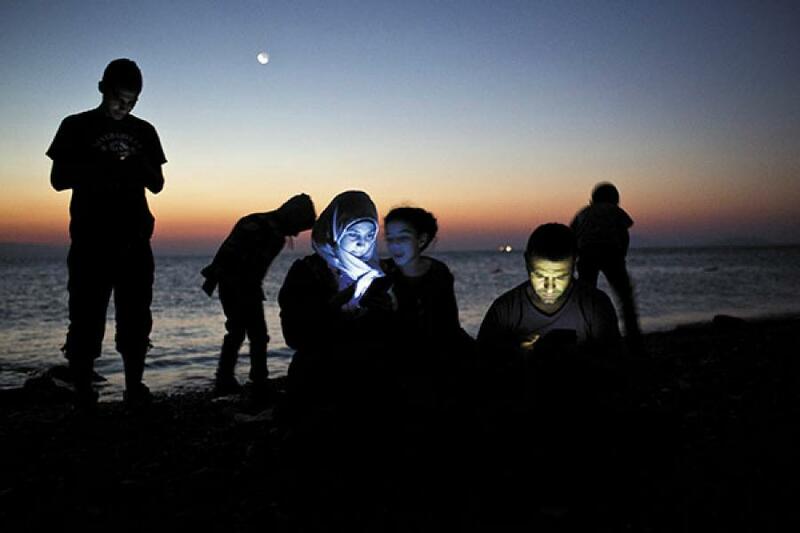 Migrants check their mobile phones after landing on a beach in the Greek Island of Kos on August 12. Authorities in Greece are struggling to handle boatloads of migrants, mostly from war-torn Syria and Afghanistan, arriving in crammed rubber dinghies from the nearby Turkish shore with hopes of making new lives in Europe. The influx of refugees has triggered a “humanitarian crisis within the economic crisis,” said Greek Prime Minister Alexis Tsipras, while calling on Europe to help his cash-strapped country face the situation. The UN Refugee Agency has asked Greece to take control of the “total chaos” on the island.